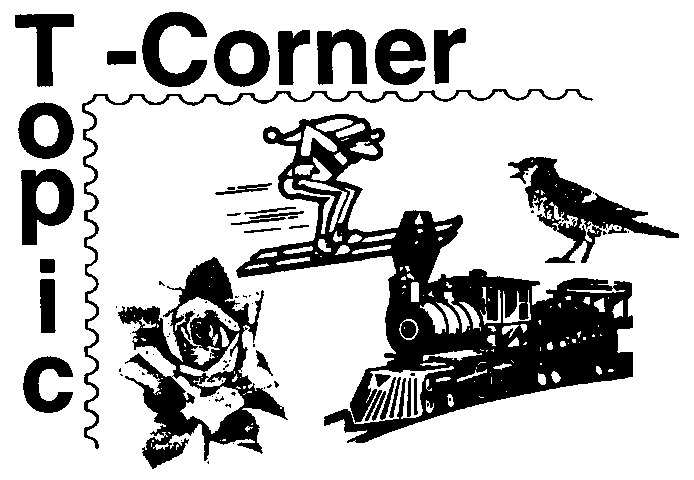 This page includes The Topic-Corner columns from the 1997 issues of Across the Fence Post. 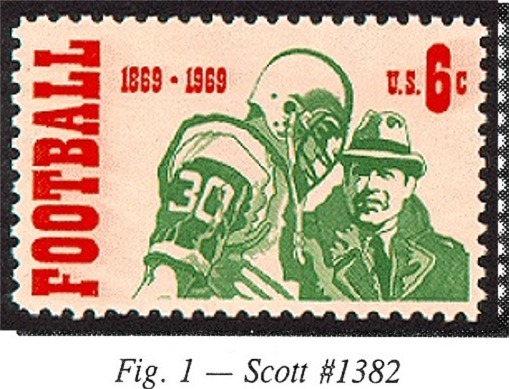 Packer Backers and other "pigskin" enthusiasts can start a mini-collection of football on United States stamps. Although the sport is very popular in this country, it has never really caught on outside the United States and Canada. Soccer and rugby, similar sports, have their own group of followers and are represented on stamp designs. Origins of the game that we know as football can be traced to Princeton University as early as 1820. In those days, the game was a contest of brute force. 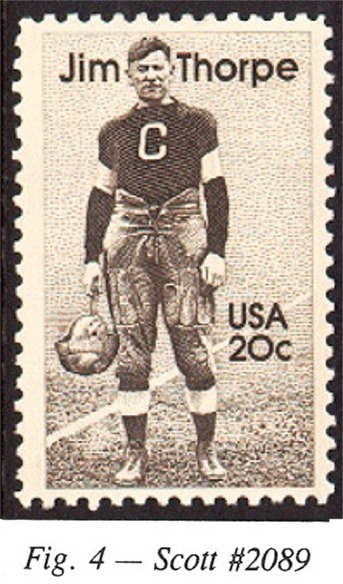 The centenary of intercollegiate football was commemorated on a 1969 stamp (Figure 1). Football was confined to Northeastern college campuses until 1873. Then a game took place i n the southern United States between Virginia Military Academy and Washington and Lee University (Figure 2). 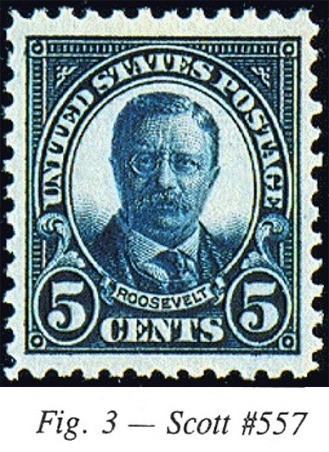 Although the popularity of the game continued to grow, the violent nature of the game caused such great concern that President Theodore Roosevelt (Scott Nos. 557, 637, 830, 1039, 2218g) intervened (Figure 3). In 1905, representatives from Harvard, Yale, and Princeton were called to the White House. A committee was formed and rules were established that made the game safer, resulting in a reduction of the number of deaths and injuries. Jim Thorpe (Figure 4) is considered by many to be the finest to ever play the game. 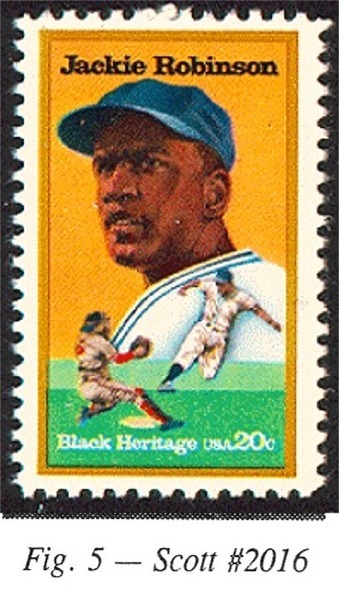 Jackie Robinson (Figure 5), who e xcelled in football at UCLA, had his first paid athletic position as a professional football player in Hawaii. 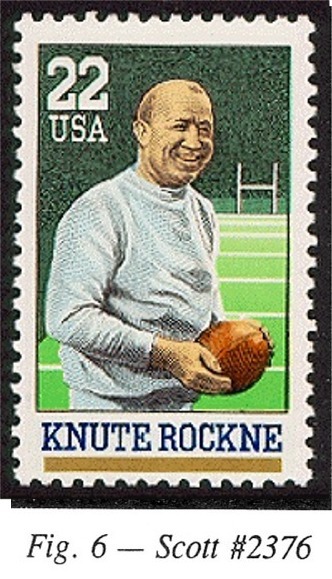 Knute Rockne (Figure 6) served as a football coach at Notre Dame. Most recently, the U.S. Postal Service has announced that this summer four stamps will be issued to honor football coaches: Paul "Bear" Bryant, George Halas, Glenn "Pop" Warner, and Wisconsin's legendary Vince Lombardi. 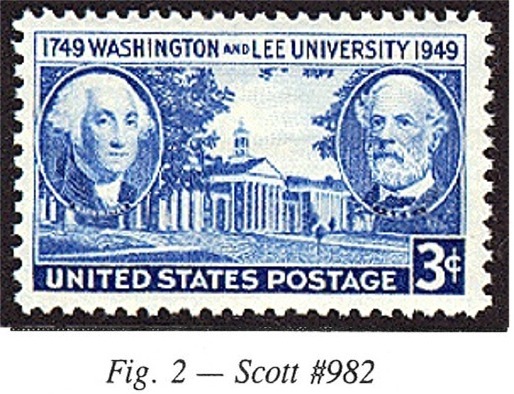 Other persons with a football connection and pictured on stamps include President Woodrow Wilson, who as a professor at Wesleyan University, coached the team. Another, President John F. Kennedy, popularized the game of touch football by playing it at his family home in Hyannisport. On September 9, 1990, a 25c hologram stamped envelope was issued in Green Bay, WI. The envelope, honoring professional football, included a reproduction of the Lombardi Trophy, which is awarded annually to the winner of the Super Bowl.